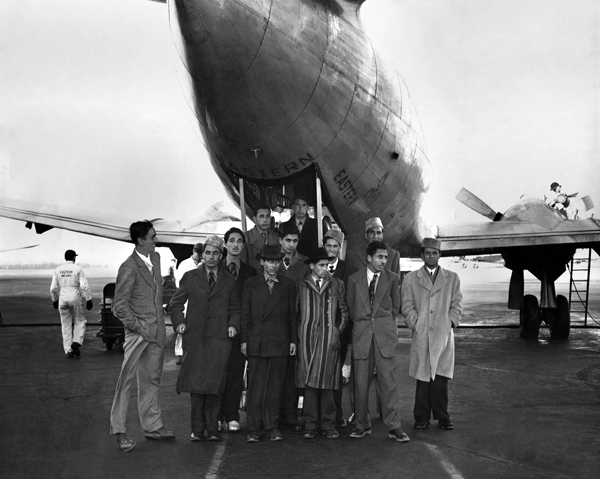 In Small Things Remembered » Afghan students at Washington National Airport en route to the University of Wyoming. en route to the University of Wyoming. The government of Afghanistan signed an agreement with the University of Wyoming in 1952 to begin training Afghans in vocational fields, engineering, and agricultural development. Such courses were hugely popular with Afghan students, both in Kabul and in Laramie, Wyoming, and formed the basis for future educational initiatives between the United States and Afghanistan.